As indicated in the last newsletter, the State Government has allocated a grant to enable the Courthouse to be stabilised and ‘made safe’. The first step has been to clear the burnt timbers and slate from the roof, ceiling and flooring. A crane was employed for five days on this work. The Moonee Ponds Police kindly allowed the crane to be placed in their driveway, thereby avoiding the necessity to partly close Mt. Alexander Road during these days. 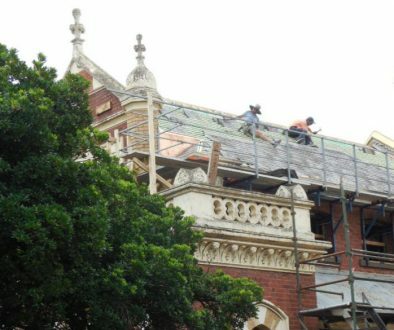 The grant from Heritage Victoria will be used to replace the roof, rewire the Courthouse, replace the windows, provide ventilation and temporary lighting. Depending how far the funding stretches, the doors, flooring and render on the walls in the courtroom may be repaired and a temporary ceiling installed. It is planned that by the end of the year, the Courthouse will be made usable, although it is likely to be on a very limited basis, given that fire damage will be very apparent, and there will still be the need for extensive work. 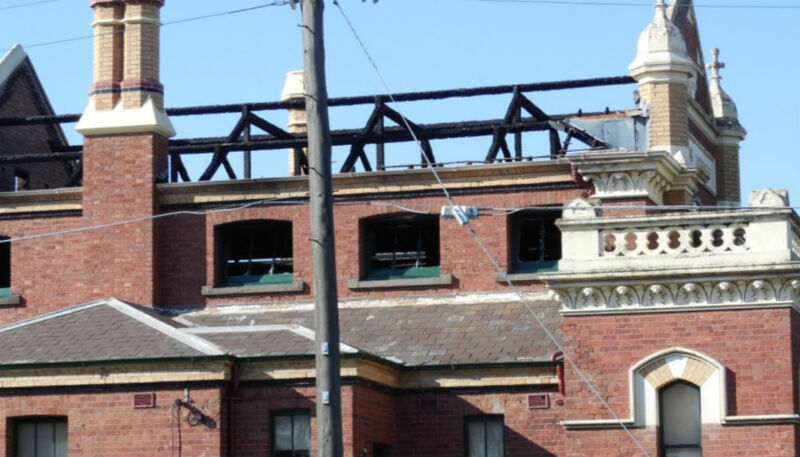 A significant amount of funding to complete the restoration will be required. All donations are much appreciated. In the meantime we are using the basement of the Niddrie library as a work space and for the storage of our most critical resources. Research queries continue to be managed through our online presence and telephone calls. Requests for Memory Lane tiles are still being taken. Hence despite the lack of a permanent home, EHS continues to operate albeit on a limited basis. Please include your name in the Reference. Email your details for a tax receipt to be sent to you.